The YMCA's national Y Active Men programme, which launched today, is a great example of the sort of partnership the Men's Health Forum wants to forge in its aim to get a million more men aged 35-64 physically active by 2012. The 12 week programme is designed for the four out of 10 men aged 35 and over who don’t currently do the recommended weekly level of physical activity and offers weekly classes, one to one assessments, mentoring and support. 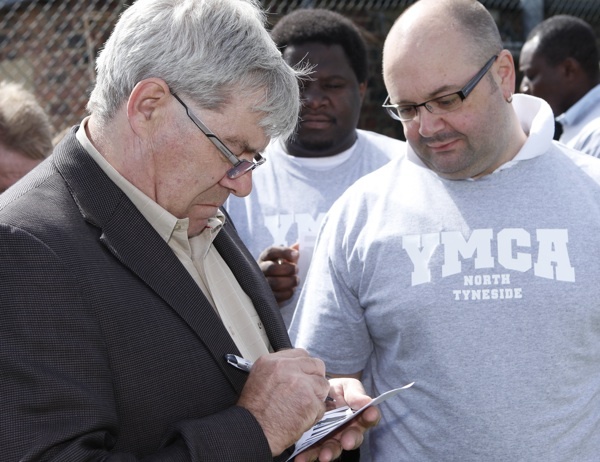 To encourage men in the Tyneside area to get fit, the YMCA North Tyneside is offering 30 lucky Geordies three-month memberships (worth £90 each) for FREE . Press Release 4/06/2010: National Men's Health Week – Encouraging all men to get moving!